Have a look at Australia travel distances on maps. These will show you major towns and tourist destinations. Its a great way to plan your Australia trip. Be aware that it is a long drive between most Australian cities. Generally, you’ll be spending a lot of time on the road. The distance from Cairns to Perth travelling south then west along Highway 1 is approximately 7,200 kilometres or 4,450 miles. The roads can be long and straight, with very little to see on the way. If you’re in Australia for a short time, the best strategy is to take domestic flights to each major region. Just pick up a rental car in each area and start exploring. You’ll save so much time and energy. In most States of Australia, the maximum speed limit on freeways and major highways is 100 kph (approx 62 mph) and local urban limits range from 50 – 80 kph (approx 30 – 45 mph). In the Northern Territory a 110km/h speed limit applies on all rural roads on highways. All speed limits are clearly marked and all States operate sophisticated speed detection equipment including mobile and static speed cameras along with Red light cameras. Any fine incurred in Australia is the responsibility of the driver. Should you decide to explore the outback of Australia, do seek out local advice on where you intend to go. Take plenty of drinking water and let people know of your travel plans. If your vehicle does break down in a remote area, do NOT attempt to walk. Generally people who stay with their vehicles are located quickly and easily. Please note, that some rental suppliers limit the operation of their vehicles in the outback. This should be a very special trip for you, right? 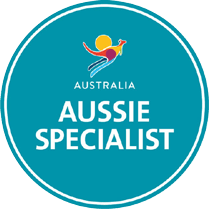 So why not use an Australia travel expert to plan your holiday – free to you!